Today I had the honor of baptizing my friend Greg. We’ve been meeting almost every week for the past ten months and he was just recently born again. In many ways, Greg is the last guy who would ever become a Christian. His life was marked by pain, drugs, immorality, and death. Yet, on the other hand, his conversion is just the sort of thing God loves to do. God delights in taking people who are far off and bringing them near through His grace in Jesus. Here’s the testimony Greg shared with our church this morning. Praise God. “My name is Gregario Colon III and I was born in the Bronx, NY with my older sister and younger brother who absolutely mean the world to me. Looking back on my life I realize how blind I was to God’s grace. My earliest memories were filled with tragedy and now I see why I so often played the victim. My neighborhoods were infested with drugs and both my parents were addicts. One of my earliest memories was on Christmas morning when I came out to find my dad sitting next to the milk and cookies we left for Santa with empty syringes sitting on the plate. These kind of memories were always confusing to me as a kid. We went to live with my grandparents who did their very best to give us a childhood despite our parents disappearing from our lives. My grandparents knew where my dad lived and one day took me to visit him. I still remember seeing my grandpa talk to him, watching my dad look at us, wave us off, and then walk back inside his house. When I was twelve, my grandpa took me to watch one of his stickball games. But during the game, he collapsed of a heart attack and died in front of me. He was the closest thing I had to a father, but then he was gone! During high school, I was out of control. At one point I got caught stealing and was sent with my brother to live with my dad who had begun to get sober. I resented him at the time despite the fact that he tried hard to make things up with us. I began hanging out with older kids in our neighborhood, which put me on a path that would cross more lines than I can bear to think of. It was about this time that I began cutting hair as a hobby. My dad got me my first set of professional clippers for Christmas and allowed me to cut hair on the roof with people from the neighborhood. That’s also when I started getting mixed up with drugs and alcohol. What began as just having fun quickly became an everyday thing for me. At this point, I was angry, violent, and lost. My downward spiral became a blur when my father passed away from complications with AIDS. I didn’t know how to deal with his death or my emotions about his attempts to reconcile with me. I went to his funeral drunk and high—it was one of the worst days of my life. Haircutting was my refuge. It allowed me to make decent money, which led to all-nighters at nightclubs, bad relationships, new kinds of drugs, and coming face to face with death. I’ll never forget seeing one of my best friends shot to death in front of me. It should have woken me up, but instead pushed me on a darker path of dealing drugs. You might say I picked up his clients and ran hundreds of pounds of drugs across borders. This afforded me more money than I knew what to do with but also left me constantly worried about who was trying to kill me. Eventually, my world came crashing down when I was arrested on serious drug trafficking charges. The charges were reduced, but I spent time in rehab in Upstate NY. In 2012, I moved to Virginia in another attempt to clean myself up. This lasted for about two years. Haircutting really took off for me, and I even landed a gig cutting hair for the Redskins. It was during this time that I met my friends Scott and Mike McKinley (who is a pastor) who are here today. My family was proud of me because I had gotten my life together (but not really). You see during that time a doctor began prescribing pain pills for me. I got hooked pretty hard and when he stopped writing me scripts, I moved on to heroin. I began burning bridges with friends and family and soon enough I was back on the dark path heading toward death. I entered a detox program here in Alexandria and afterward moved into a recovery home for a year to work on my sobriety. During this time I met a lady named Karen Solms along with many other dear friends. I would see Karen going through such hard things but always trusting God. I asked her how she did it. She would always point me back to her faith in God. One day Karen invited me to come to church with her. She said she had heard a pastor from Scotland name Mez share his story and thought I could relate to him. After my visit I called Mike and told him I went to church. He asked where and I told him some place called Del Ray Baptist. He told me he knew Garrett and that the guy Mez that Karen had told me about what the guy he had written his book with. I felt like God put the thermal scope on me at that point. I came to Del Ray Baptist last April (2018) and haven’t missed a Sunday since. As I did I began to see things in a whole new light. I heard the messages about Jesus, but I also saw God’s love through Karen, Gordie, Garrett, and all of you. 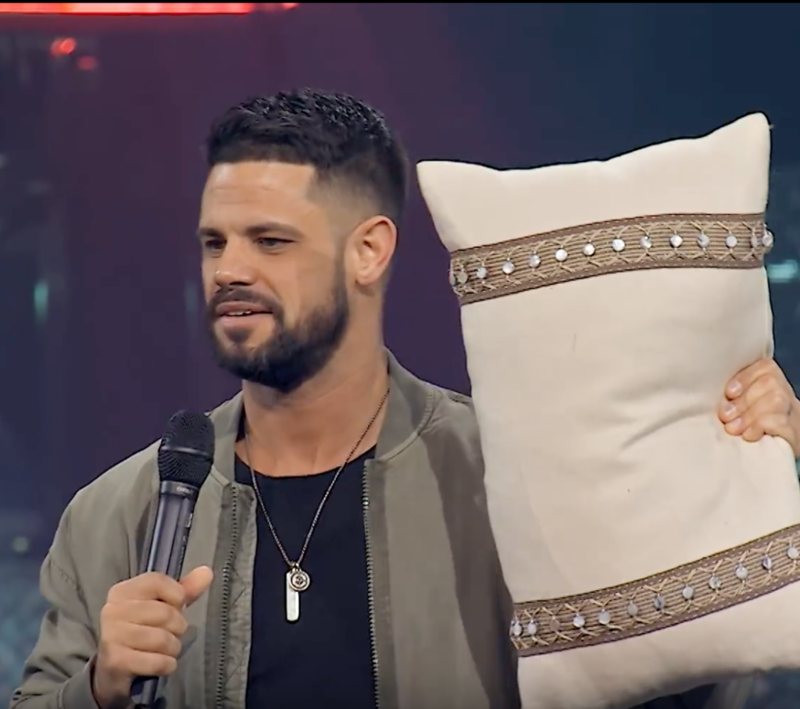 Garrett always used to ask me “what are you holding on to and what keeps you from surrendering to Jesus?” It took me a while, but I’ve come to realize that I’ve been holding on to me, and holding on to my sin because I loved it so much. I was scared of letting go because I didn’t know what would happen. I didn’t know which “Greg” would show up. But what I’ve come to learn is that if Jesus was faithful to save me, He’ll be faithful to keep me. I wasn’t looking for Him, but He came looking for me. I don’t deserve to stand here alive here today. It is by His grace and mercy alone. This is a miracle. I should be dead, but the reason I’m here is because Jesus has made me alive. This entry was posted in Testimonies on February 10, 2019 by garrettk. Despite our resistance of Him, God still shows love toward us, as he has toward the Sentinelese people. He has continually given them “rains from heaven and fruitful seasons, satisfying [their] hearts with food and gladness” (Acts 14:17). He has made “His sun rise on the evil and on the good, and sends rain on the just and on the unjust” (Matthew 5:45). It is God who keeps their heart beating and gives them breath (Isaiah 42:5). Without knowing John Chau personally, I cannot definitively speak of his motives or methods, but as a Christian, I share his desire for the Sentinelese, and all people, to know the God who made and sustains them. The details about Chau’s encounter with the inhabitants are still unknown. Was he able to over come language barriers to communicate the gospel before he died? Did any believe what they heard? We do not know. But a vital question remains—what will happen to them if they never believe in the Jewish Savior born two thousand years ago who was likewise killed, having his body being dragged into a tomb, and yet, Christians believe, has been raised from the grave? The Bible teaches that because God is good, we can know that He will judge them, not because of information they lack, but because of their failure to believe what He has revealed to them through creation and conscience. Whether we look through a telescope, a microscope, or at the ecosystem on an island, evidence abounds that God created and sustains the world. God charges all people with “suppressing the truth” that He has “made evident” to us (Romans 1:18-23). Rather than love and obey Him, we exchange God for our own ideas and idols (Romans 1:23). We all do this, whether we were raised in the Bible Belt or on undeveloped beaches. God has also given all people an inner awareness of right and wrong. Our conscience convicts us of sin when we lie or delete search histories or deceive our spouse (Romans 2:14-16). Deep down we know we have done wrong, but we try to medicate and excuse away the guilt. The Sentinelese people who killed John Chau prove their condemnation by not treating him as they would desire to be treated (Matthew 7:12). Yet, God still desires to show them mercy and forgiveness (1 Timothy 2:1-4). He promises, “everyone who calls on the name of the Lord will be saved” (Romans 10:13). Some will say that the islanders can call on God in their own way, but God makes clear that no one can know His mercy and forgiveness apart from faith in Jesus Christ (John 14:6; Acts 4:12). Is it arrogant for God to say there is only one way? No, it is merciful of Him to provide any way at all. If God were fair, all of us would be left in our sin. So what will God do with the Sentinelese people if they never hear of Jesus? They will be judged, like everyone else. This is why people like John Chau are willing to risk their lives to reach them. He went because he believed, as Christians believe, that there is only one way to heaven. And, if that is true, telling people is the most important and most loving thing anyone could do. To step over a “no trespassing” sign to rescue someone from a burning house at the risk of your own life is the height of love, not wickedness. The hope of every Christian is that the Sentinelese people will hear the Gospel of Jesus, turn from their sins, believe upon Jesus, and know the forgiveness of Jesus. Please do not hear this as some sort of desire to colonize them. I desire no such thing. The Bible teaches that every culture possesses aspects that displease God and must be put away. But every culture and every person in that culture also uniquely reflects the beauty and glory of God. 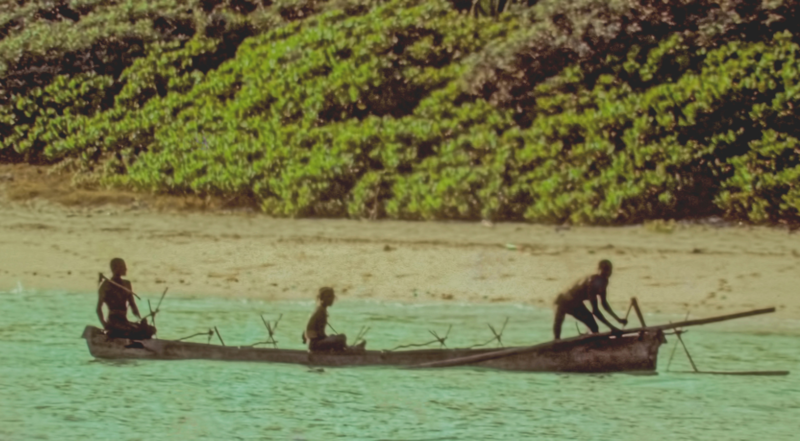 I long to see how much we could learn from Sentinelese people who love Jesus. Their appreciation of nature, simplicity of life, and healing from hatred would bless and challenge believers around the world! I pray that God will save many of them for their own joy, but also for the good of His church around the world. 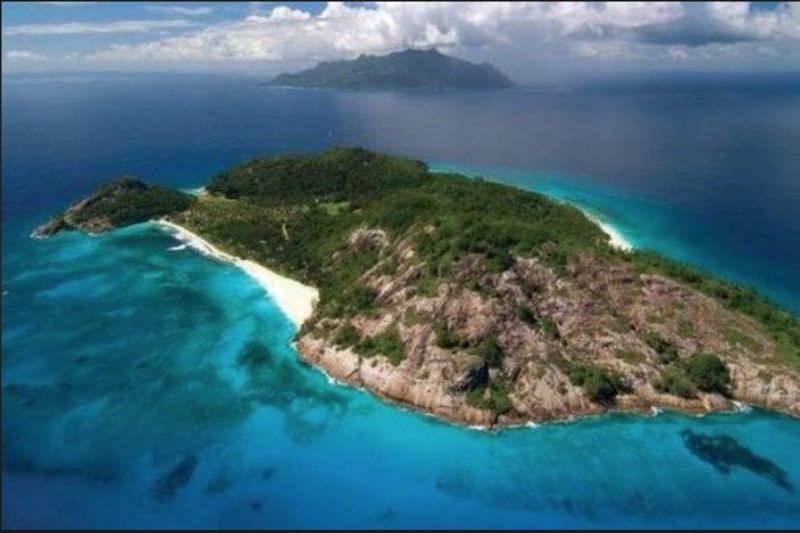 Many questions remain about John Chau and the mysterious community in the Andaman Islands. Some will suggest that Chau’s actions pushed more people away from Jesus than attracted them to Him. My hope is that God will use this event to open doors for conversation about things that matter most. If you are not a believer in Jesus, I challenge you to investigate whether or not Jesus truly died and rose from the grave. 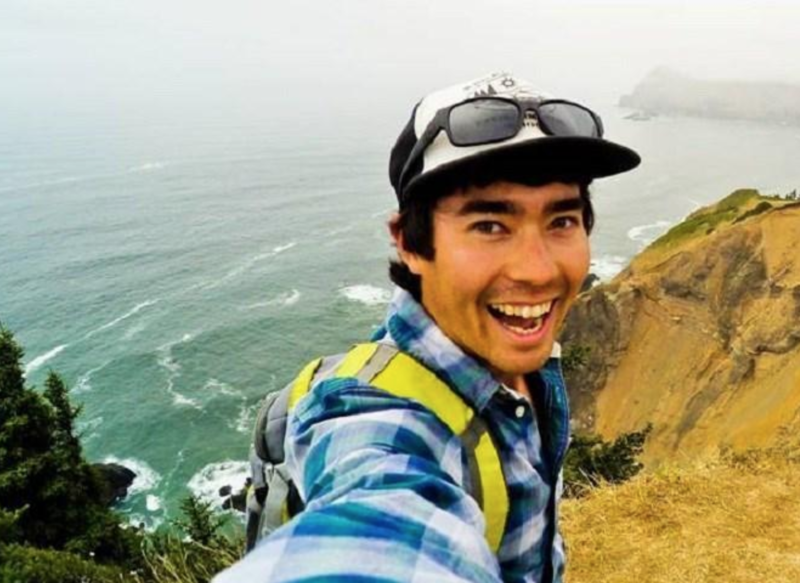 If Jesus did not raise from the grave, then Christians like John Chau are reckless idiots. But if Jesus did rise from the dead, then the Gospel is true and our efforts, however imperfect, will be shown to be done out of love, not arrogant foolishness. Lord, make us willing to risk all for Your glory and the joy of all peoples. 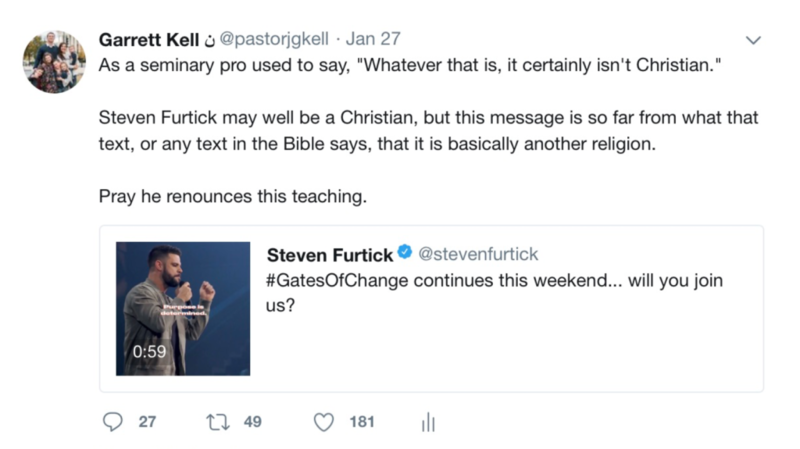 This entry was posted in Evangelism on November 25, 2018 by garrettk. As a pastor, few things are more heart wrenching than watching a married couple pick up the pieces after adultery. Feelings of betrayal, the unraveling of lies, and the waves of grief can seem insurmountable. At times those waves sink the marriage ship. Adultery can bring such catastrophic damage to a couple’s union that Jesus’ allowance for divorce appears unavoidable. But this is not always the case. As grievous as this intimate betrayal is, God’s grace often prevails. When God works real repentance and gives strength for genuine forgiveness, true reconciliation is possible. Reconciliation after this sort of sin is never quickly realized. The road is often paved with prayer and sleepless nights. Yet with every faith-filled step, God brings healing. What I have witnessed is that the sort of healing God brings in the wake of such hurt is nothing short of miraculous. In a way only He can, God so often grants a bond between the healed couple that was stronger than before sin infiltrated their lives. Faith is stronger, trust is deeper, and promises are sweeter. What Satan intended for evil, God used it for good in a way only He can. In recent days I had the honor of standing with a couple to celebrate God’s gracious reconciliation in their marriage. The husband had been unfaithful, but God was not. He gave the husband grace to repent and gave his bride the strength to forgive. They still face hard days, but by God’s grace, their ship did not sink and today they continue to sail toward the distant shore together. These are the vows he wrote and read during their renewal ceremony. So again this day I do thee wed.
and your touch alone I vow to savor. till our better groom returns or till I perish. Marriage is God’s gracious gift to a husband and wife. This glorious institution reflects the love, grace, and mercy the Lord has for His bride the church. Pray for marriages to withstand the temptations that abound, and pray for those who have known the most intimate betrayal to find healing from the Lord of mercies. 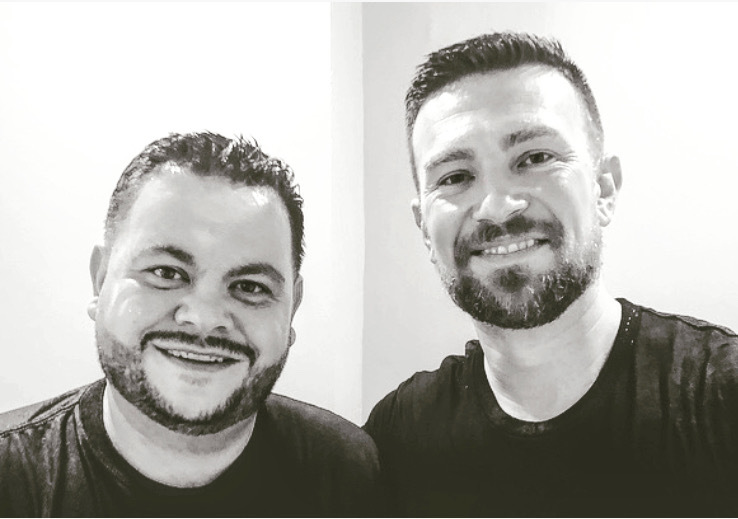 This entry was posted in family, Marriage, Testimonies on May 25, 2018 by garrettk. Normally, if I were writing a review I’d hit on the movie’s theological themes or what kind of workout those fellas did to get so rocked-up, but instead I’m going to take a risk and share about how the movie affected me personally. Black Panther is a movie about a superhero, but not just any superhero—a black superhero. And that’s what has me a bit perplexed. The movie was excellent, but it moved me emotionally in a way I wasn’t expecting. The plot line was inspiring, the acting was captivating, and the special effects were dope. But that’s not what got me. I should probably tell you this upfront—I’m a recovering racist. I never had a disdain for black people, or knowingly treated any black person with contempt. But sadly I’ve come to see that I had racist attitudes that assumed things about people who didn’t look like me. I passively assisted in the perpetuation of stereotypes that were demeaning to people whose culture and skin color were different than my own. My parents didn’t raise me that way, but it was in the air I breathed. It was in the shows I watched, the attitude of my almost exclusively white hometown, churches I attended, and in the hearts of extended family members. But over the past eight years, God has changed me in ways I never saw coming. You can read more about that here. Black Panther was no epiphany for me, but it captured themes I’ve been learning about in a way that was deeply moving. We live in a world that has wrongly dishonored black people in horrific ways. Slavery, discrimination, injustice, and racism have beaten down the image of black people in the minds of many generations. Black men have long been portrayed as uneducated hoodlums who cause trouble while black women are seen as dramatic temptresses with little moral character. Yet, in this movie black men and women were set forth with dignified beauty. They were not dominated by another narrative, but they had their own. Sure, it was a Marvel fantasy movie, but there was something powerful happening when the nearly all black cast filled the screen. Their dignity was represented boldly, and beautifully. As a Christian, I know that God has created each of us uniquely to reflect His image. Our diversity of culture and skin color is part of His glorious design. 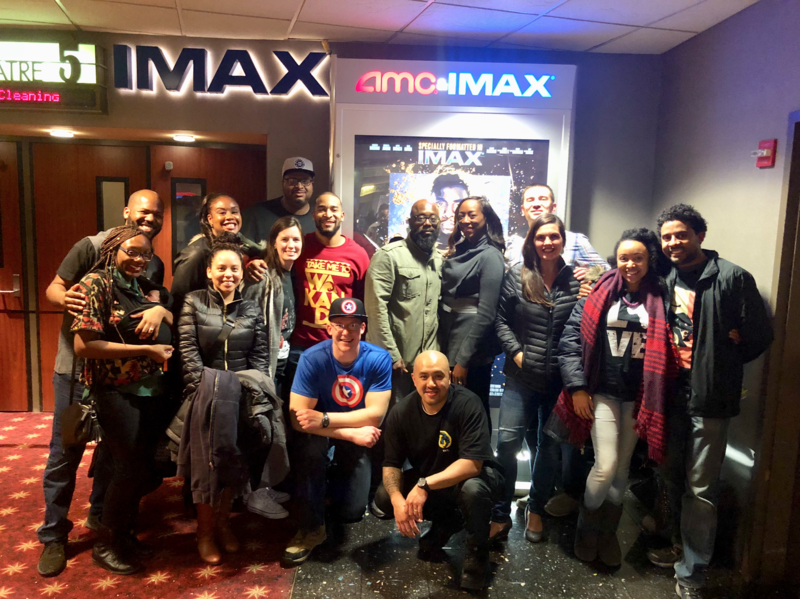 Though this movie had nothing directly to do with God or the work of Christ, the dignity of black men and women shined through in a way that was empowering. A movie has no power to ultimately change people’s hearts. Only Jesus can do that. But I believe it can serve to help the progress we must make toward racial unity. It can encourage the black community and educate other communities. I know it did that for me. I won’t give any spoilers here, but Erik Killmonger’s role was brilliant. His character’s bitter rage was provoked by the abandonment and betrayal of those who were supposed to love him. His disdain for the system that hurt him and desire to enact change at all costs only compounded his pain, but left me sympathizing with his character. I know it was just a movie, but his hurt echoed the stories of so many of the black friends I love. Too many have known what it is like to be abandoned and left to fend for themselves. Too many have grown up in a world that has wounded them because of the color of their skin. Too many harbor the hurt his character embodied. As I watched Killmonger become consumed by his quest for liberation, I was freshly reminded of the pain so many friends have shared with me. Watching him fight to make his brokenness whole freshly reminded me of my responsibility in the quest for progress. His pain reflected the pain many of my people have inflicted in days past and present. It gave me a fresh desire to serve in whatever way I can to undo what so many before me have done. Vengeful anger will not bring progress, but I do believe God can use the pain of a people long oppressed to shine brightly as an example of how to make progress. I believe the grace of God can bring healing to wounds both in the culture and in the church. I pray the church will learn to better model this in a way God surely desires. There is something beautiful about the unity of spirit that black brothers and sisters share. Seeing people decked out in traditional African garb and King Jaffe costumes gave expression to something I’ve never experienced. I’ve been part of tight knit teams and churches with thick unity, but black culture, in all its unique forms, has a unique unity that I find captivating. There’s an energy and freedom (and volume) that I’ve grown to love. The common bond that centuries of struggle, suffering, and oppression tried to sever has only solidified them. As a people they have weathered much together, despite their abiding challenges. I’m far from an expert on black culture, and don’t assume all black people experience black culture the same, but in this film and in the lobby outside I shared in something I often don’t. I was a minority on this night. My skin color was mildly represented in the film and I felt “other” in a way that was unusual. Yet in the midst of that, I felt welcomed. The movie’s story and my friends’ laughter ushered me into a world that was foreign to me. It’s not the only time I’ve been in this situation, but it was a fresh joy for which I’m thankful and hopeful for more. As a Christian, I’ve learned to see every situation, every movie, and every interaction through the lens of Jesus’ love for me. Tonight I freshly saw His love and felt an unexpected appreciation for our church family. We are a people continually deepening in all sorts of diversity. Being part of the Black Panther party gave a fresh way to experience the love we’ve been growing in over recent years. Finally, there was something charming about Wakanda. One of my friends said, it “felt like a world where a piece of Africa escaped the destruction of colonization. It was fun to dream about.” Seeing responses like this helped me, maybe for the first time, understand why so many feel homesick for Africa. What would their lives have been like, had my ancestors not kidnapped them and dragged them to America? Sadly, one can only wonder. Homesickness for Africa made sense to me in a way I could strangely identify with. As a Christian, I too long for my homeland. Long ago Adam and Eve traded the paradise of God for slavery to sin. Their sin has led to much suffering and heartache. This is where the great hope of a new world rises up in the hearts of all humans, whether black or white. Wakanda was not heaven, but it helped me to long for it in a fresh way. I’m thankful to my friends who have patiently taught me about their struggle and for this movie that moved me in a way I wasn’t expecting. 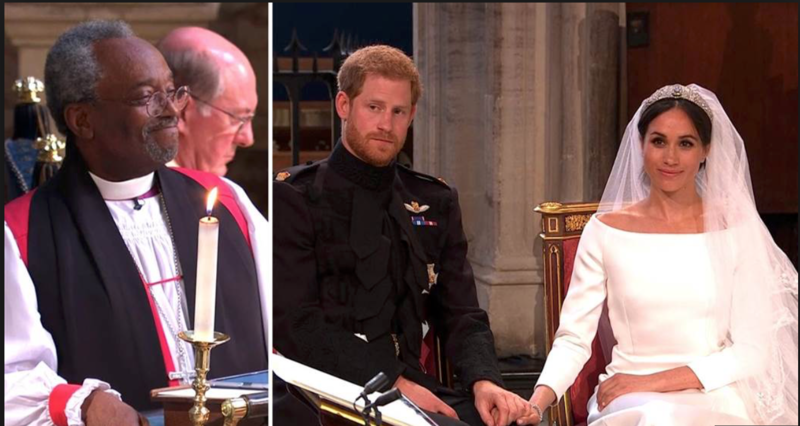 Some of the key theological themes include the emptiness of ancestral worship, the devastating effects of sin, the temptation of the oppressed to become the oppressor, the beautiful complementarianism portrayed in the film, and the resurrection of the king to overthrow the evil strongman. Played by Michael B. Jordan…can you say Oscar? This entry was posted in Personal Reflection on February 17, 2018 by garrettk. In the summer of 1998 a friend and I spent an evening together. A few weeks later she told me she was pregnant, and it was mine. Neither of us expected it, and neither of us felt ready to raise a child together. We were not in love and thought it would be better to go our separate ways with a clean slate. So we choose to have an abortion. Some choices leave scars. Our abortion was one of those choices. In the years since our decision, I’ve often reflected on what happened that summer. It has changed me. It has given me more compassion toward those who face the fear of an unplanned pregnancy. God has brought healing and shown forgiveness that I do not deserve. You can read more about that here. My experience with the abortion is one reason I often speak about the issue—even when I’m asked to stop speaking about it. But the fact that it is a woman’s body does not capture the whole truth. When a woman becomes pregnant, her body is not just hers any longer. It now also belongs to her child. In the miracle of motherhood a living human being is conceived within her body and then attaches to the wall of her womb. It is within her, yet distinct from her. It is in her body, but it is not her body. What is growing with in her is not merely a tumor or clump of cells that has the potential to be a baby. It is a baby. Some may push back on this, but it is scientifically dishonest to do so. The child in the womb has unique DNA, unique blood type, and every quality that makes us distinctly human. What is in her is a unique, living human being. The child has a detectable heartbeat between 5-6 weeks. And we all know it is a living being. If we found on Mars what we find in the womb of a mother, we would certainly say we found life. And we all know it is a human. It can be scientifically proven that 100% of the time nothing other than a human will come out during birth. At the moment of conception, a living human begins to take up residency inside his or her mother. God’s wonderful design is for a child to be united to his or her mother and receive protected housing as they grow and nourishment as they develop. This sacrificial love is part of what it means to be a mother. Any of us who are reading these words have known this divinely designed care, regardless of our birth circumstances. The mother’s body is her body, but it is not just her body. Her body has become the home to another, distinct human. Please hold back any desire to roll your eyes here. There are few things more precious than a father’s love. This is one of the reasons the world has fallen in love with Jack and Randall from the hit show This Is Us. There’s something in us that want fathers like Jack and Randall; or if we are fathers, we want to be like them. This is also why the Internet celebrated the father who charged a disgraced doctor who sexually assaulted his three daughters. The importance of fathers resonates within us all. Those who had wonderful fathers celebrate them and those who did not know the ache that is left behind. Abortion is not just about a mother’s choice. It is also about a father’s responsibility. By perpetuating the lie that men need to stay out of the discussion about abortion—because it is a woman’s body—is not only untrue, it is catastrophic for generations to come. We also need a generation of women who will encourage men to take responsibility and show the sacrificial love and empathy that ought mark men, not push them out of the conversation about abortion. Because in the end it is her body, but it is their baby. This entry was posted in Abortion on February 6, 2018 by garrettk. 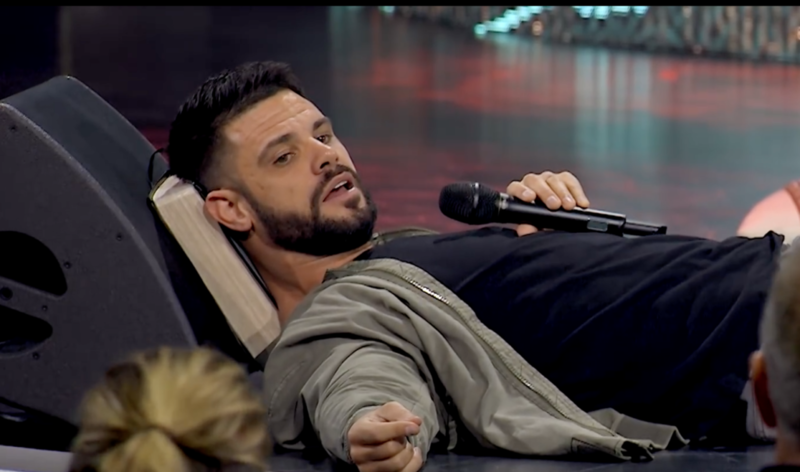 Jesus Did Not Say Lust is the Same as Adultery – Response to Jerry Fallwell Jr.
To be clear, this post is about theology, not politics. We need to be really clear…that is not what Jesus said. In the Sermon on the Mount, Jesus is teaching that the Law not only addresses external sins, but also sins of the heart. What Jesus was saying is that lust condemns you, just as adultery does. Lust and adultery are qualitatively the same—they are the same sort of sin. Lust and adultery are quantitatively different—their degree of severity is exceedingly different. These sins are similar, but Jesus did not say they are the same. While all sins are severe, they are not equally severe. When James 2:10 says “whoever keeps the whole law but fails in one point has become guilty of all of it” we learn that failing to keep one part of the law breaks the whole thing. Concerning our text, lusting breaks the law in the same way adultery does. But that doesn’t mean that these sins are the same to God. When speaking to Pilate, Jesus clearly indicated there were differing degrees of sin,“he who delivered me over to you has the greater sin” (John 19:11; cf. Luke 7:41-43). He also teaches there are differing degrees of judgment “Truly, I say to you, it will be more bearable on the day of judgment for the land of Sodom and Gomorrah than for that town” (Matthew 10:15; Luke 12:47-48). Elsewhere, God warns Cain to not allow his sinful anger to progress and become the greater sin of murder (Genesis 4:6-7). 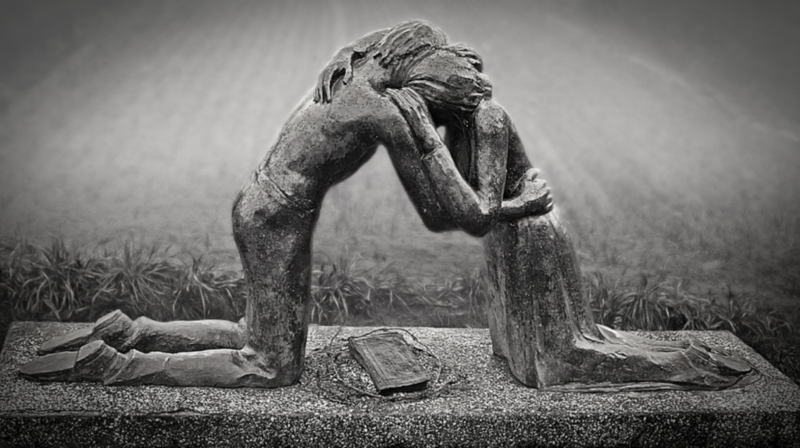 As we apply the degrees of sin teaching to our case, we see without doubt that committing adultery is a far worse sin than imagining it in your heart. 1. The act of adultery grieves God far worse. 2. The act of adultery affects a spouse far more. 3. The act of adultery affects the person committing it far more. To put it in the context of current events, the sexual assault Dr. Nassar committed against many young women is far more serious than someone who once looked at a pornographic image, was grieved, and then quickly turned it off. 1. Flattening sins and making them all the same does not encourage us to treat sins appropriately. The way we should respond to the sin of lust in the heart is far different than the way we should respond to adultery. If you don’t believe me, just ask any spouse who has known the pain of adultery’s intimate betrayal. 2. Rendering judgment on people for a lesser sin heaps undue guilt on them. A young man or woman who lusts in their hearts should not be loaded down with the condemnation as an adulterer. People who lust are guilty, but not like the adulterer. Jesus’ words were intended to expose the heart of self-righteous people who felt satisfied because they had not crossed a certain moral line. We should never feel comfortable with any sin against a holy God. At the same time, the moral relativism that is presented in the opening line of this article unhelpfully blurs lines that dull the sword of God’s Word. I hope this sheds a little light on what Jesus actually said. May the Lord help us to honor Him in our hearts, and our actions. This entry was posted in Social Issues on January 26, 2018 by garrettk. Several former members of our church now live in Hawaii. What follows are their reflections from the recent false alert concerning an incoming ballistic missile. The two weeks leading up to that moment had been a whirlwind for her. A grueling work schedule coupled by unending church activities left Dee with little margin for much of anything, especially time with God. But when the alert broke through, time stood still. We now know the alert was a mistake and it will certainly be laughed off in the days ahead. But when the screens of Hawaiian residents lit up that morning, it was no laughing matter. It was widely known from previous reports that if a warning was issued, there would be only 12-14 minutes until impact. Thousands of people thought they were doing to die. Her mind raced wondering, “Is this really how it’s going to end for me?” She pulled a U-turn on the freeway and called her husband, Antonio, and calmly explained they were under attack. She was in survival mode and told him to shut all windows, blinds, curtains, and start filling the bathtub and sinks with water. She’d be home as quickly as she could. As Dee sped home, she too had peace, but it was mixed with vexation. She recounted the previous weeks of distance from God and how even that morning, she had rushed around for the baby shower, giving little time for God—and now she was going to meet Him! What would she say? She knew she was secure in His grace, but at the same time felt ashamed for allowing fleeting things to crowd out her time with Him. She prayerfully asked Him to forgive her shortsightedness. As soon as Dee returned home, they cleared out an inner closet under the stairs, storing away food, water, and cloths to cover their faces or stuff in the crevice of the closet door to limit nuclear fallout. They kept their phones plugged in until the last minute. Grains of sand falling through the hourglass play tricks on you in those moments. On the one hand they seem to move ever slowly. Everything grinds along with intensity that can be felt in the air. Yet at the same time, the moments rush by in a blur. Terror like this is disorienting and reorienting all at the same time. Antonio said, “Neither of us cried until it was over.” Thirty-eight minutes had passed until the warning was lifted. They held each other and wept. There would be no nuclear fallout this day, but there was an emotional and spiritual one. Not far away, another couple endured the same nightmare. Patty’s anxiety was stirring as she tried to figure out what to do. Her husband Pete assured her that their missile defense would take out the threat, and if not, there was no need to take cover, because it was most likely nuclear. Yet her peace quickly became mixed with grief as her mind raced to her beloved son who did not believe in Jesus. Her heart turned as she recalled his resistance to and dismissal of the God he was about to stand before. “Would the Lord save him in the next 12 minutes?” she thought to her self. The thought of losing him for eternity saddened her and provoked fear. As the threat passed, she was not left unmoved. A fresh burden for urgent prayer and bold witnessing was birthed in her. God holds His people fast as they cling to His Son Jesus through faith. He is our only refuge in the day of trouble. I’ll leave you with two simple reminders. Sobriety about eternity is a friend of your soul. A day is coming when Jesus will return. Some assume this is as much of a false alarm as the one Hawaii recently experienced. But those who love the Lord know it is not. Would you consider replacing your evening television time with a reading of Revelation or Jesus’ words in Matthew 24-25? Read and plead with God to give you sobriety about eternity. This is not a drill. Sobriety about eternity is motivation for the souls of unbelievers. The unbelieving world will soon face the judgment of an all-knowing God. He has sent you to warn them. His mercy toward you is intended to provoke you to tell of His grace to others. There is no time to waste. Our moments are fleeting and their number is uncertain. Pray for God to open doors to speak of Jesus, and ask Him to give you courage to speak. Today could be the Day the Lord returns. This is not a drill. This entry was posted in Uncategorized on January 17, 2018 by garrettk.